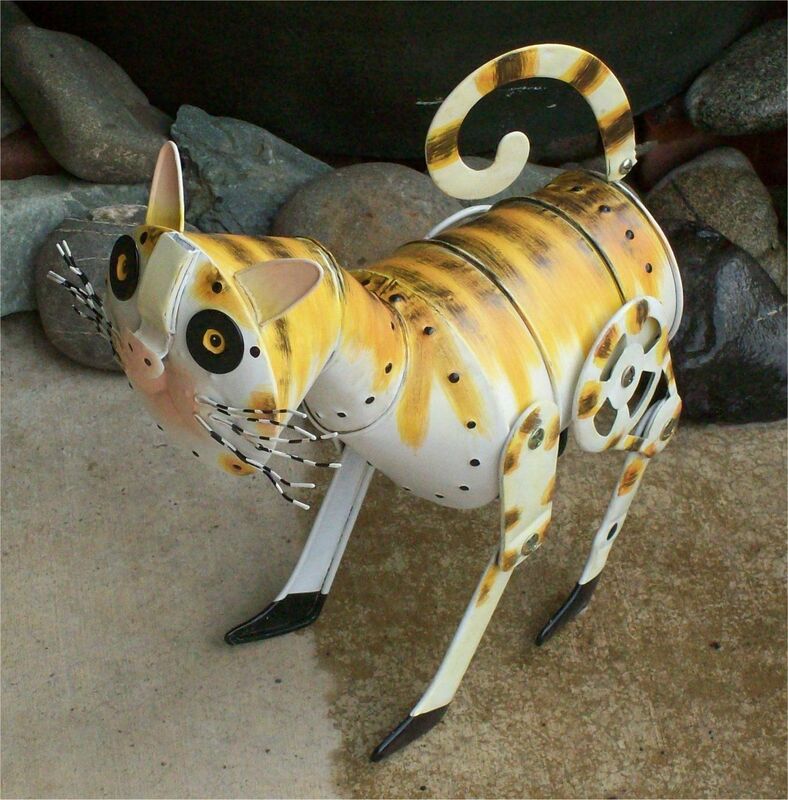 Pail Pal Cat Sculpture. Measures approx. 12"x12" from nose to rear, and foot to top of back. Painted pails form the body and head. From Blue Sky. I also have the Pail Pal Dog, and Horse listed!